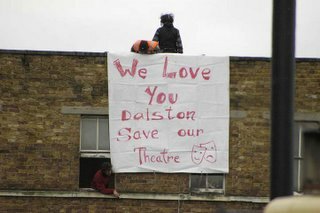 OPEN Dalston: Speak up! They're not listening. Speak up! They're not listening. 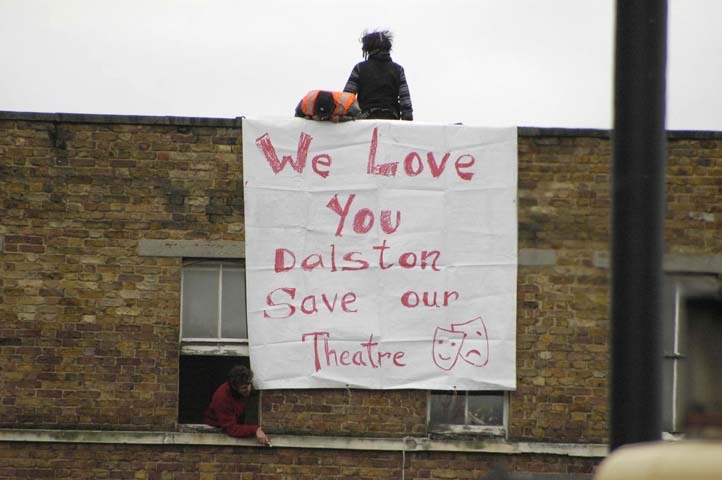 There are young people occupying the last surviving fragments of Dalston's Georgian houses. They know the sad history of our local heritage. They have something to say. 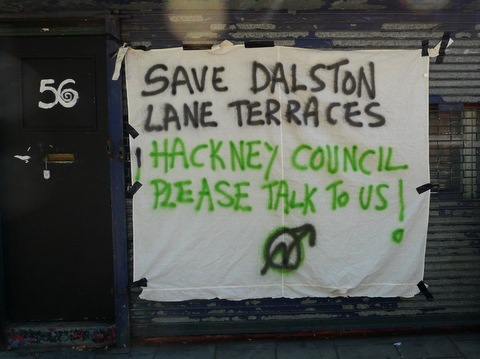 This year, after OPEN Dalston's long campaign, the Council finally bought the Dalston Lane houses back from the slum landlord which it sold them to at auction in 2002. But will the Council now carry on listening and responding to the local community? The Council has started possession proceedings to evict the occupiers. The occupiers have offered the Council unrestricted access to carry out surveys and prepare refurbishment plans. But the Council has so far refused to let them stay until it's plans to restore the houses are ready to be implemented. The occupiers are keeping the houses wind and watertight. They are protecting the houses which could otherwise be firebombed and vandalised, as happened previously to these 1807 houses at numbers 62-66 Dalston Lane. Once empty the houses could then be left to decay until, like these, they had to be demolished by the Council at a further cost of £400,000 to the public purse. And, if left empty, they could they be desecrated and vandalised like these 1825 houses in Dalston Lane. The Council says it is the champion of our local heritage and responds to its commuities. We hope this time it will keep to its word.